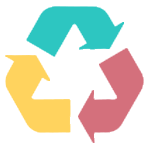 If you need file recovery for a bad InDesign or bad QuarkXPress file, request file recovery service from Markzware. This document recovery solution could salvage your corrupt InDesign file or recover QuarkXPress content for you. Markzware offers file recovery solutions that can help users to save time and to meet deadlines. Let Markzware’s DTP File Recovery Service help you to solve your QuarkXPress or InDesign file recovery issues. Markzware‘s DTP File Recovery Service can help to recover file content for the customers in these testimonials and for you. • save time, as typical turnaround time for the service is short. • preserve your content investment, while saving the trouble of having to recover the file yourself. • rest assured that Markzware will do what it can to help you recover your file and will notify you of progress made on recovering your content. Some desktop publishing files may become corrupt and make the content seem inaccessible. The file recovery service is capable of recovering text, fonts, and other items stored in such files. 2. If the service is successful in recovering 50% or more of the document, additional payment is due. After paying, you will receive a link to our “bad file” submission form. 3. Compress the bad file and submit it (without fonts or images), along with the form. Markzware can apply tested file recovery techniques to save your content. Our recovery technicians receive ongoing training and possess practical understanding of many file recovery scenarios. Leave it to Markzware to rescue your INDD, QXP, and similar files. Markzware has access to several types of conversion tools and other file recovery solutions that are compatible with InDesign and QuarkXPress. Reclaim your intellectual property! Markzware’s depth of file recovery knowledge may allow you to again access your layout document. The DTP File Recovery Service is proficient in recovering INDD, QXP, and other such layout files. If you have difficulty opening these documents, allow Markzware to investigate your file problems and to find or recommend a file recovery solution. 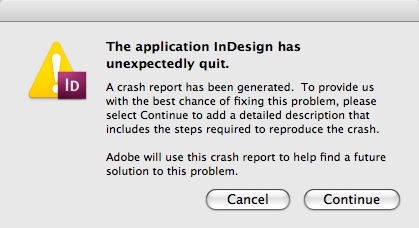 Need help resolving a QuarkXPress or InDesign error message? Markzware’s DTP File Recovery Service may have a solution to fix these files for you. The service allows you to recover InDesign or save QuarkXPress documents, at low cost. You can request file recovery service, via the DTP File Recovery Service page. See more desktop publishing solutions on the Markzware Products page. The technicians who handle Markzware’s file recovery service should respond within an hour or two after you submit the form. Outside of business hours, a reply can take up to 48 hours. You only pay the Fixed File Fee when recovery is successful. (If the recovery technician is unable to recover your file, no charge is added to the minimal File Analysis Fee.) You can also read about Markzware’s File Recovery success stories from other InDesign and QuarkXPress users. If you have questions about Markzware’s DTP File Recovery Service, please contact Markzware today, by emailing sales@markzware.com.